Welcome to Tutorial Tuesday. Today we have a quick and easy method for making vintage looking flowers. 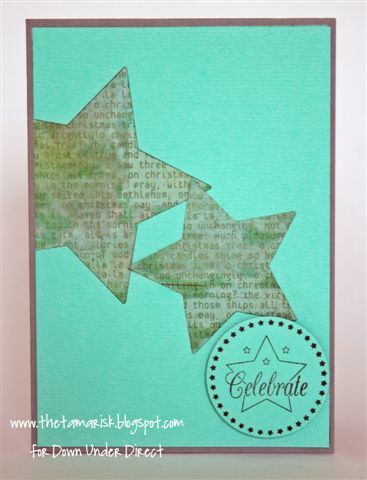 a great addition to any card or scrapbooking project. 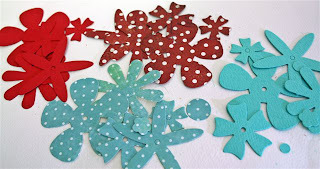 Embellishment for centre of flower. Using the Rose Creations Die, cut out five different sized flower layers. Mist each flower with water. Scrunch Each flower up in your hand, being careful not to rip the petals. 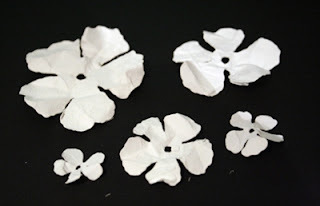 Gently unroll each flower and let dry. You can use a heat gun to speeds up this process. Gently rub the ink pad over each flower to give a distressed look. 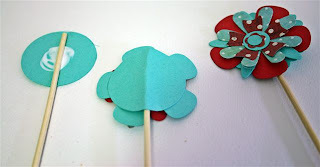 To finish the flower start with the largest one and layer on top of each other and secure with a glue dot or other adhesive. Fisnis the flower by adding an embellishment in the centre. 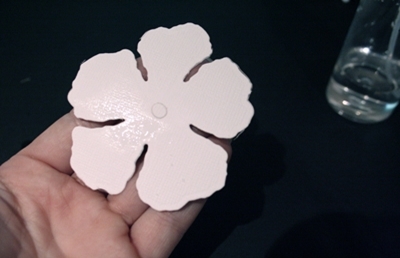 Attach the leaves to the base of the finished flower. I love the classic look of black and white, and I love the new JustRite Clings with the co-ordinating Spellbinder Dies. They have such a classic and elegant look that not much else is required to make a stunning project. This quick and easy off the page project uses the minimal of additional elements. 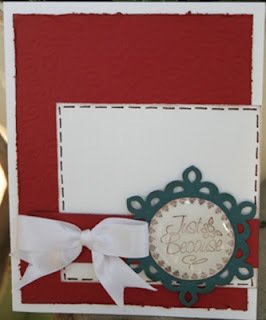 The note card holder is a template that I designed. You can get the download link to the pdf file over on my blog. Simply print the template onto some Bazzill, cut out and assemble. 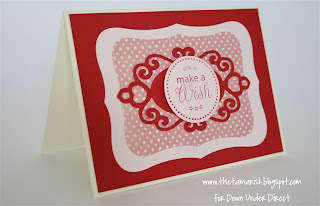 Here is a quick and easy card by Sheree. Here is a lovely idea for an altered journal. 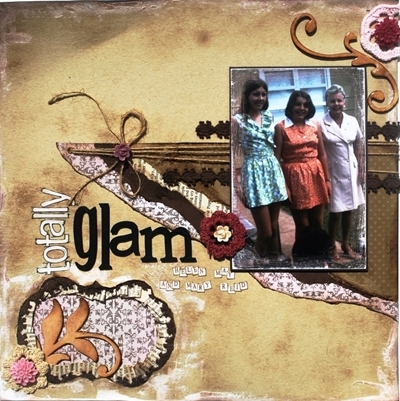 Here is another lovely layout created by Sheree. Here is another pretty layout. 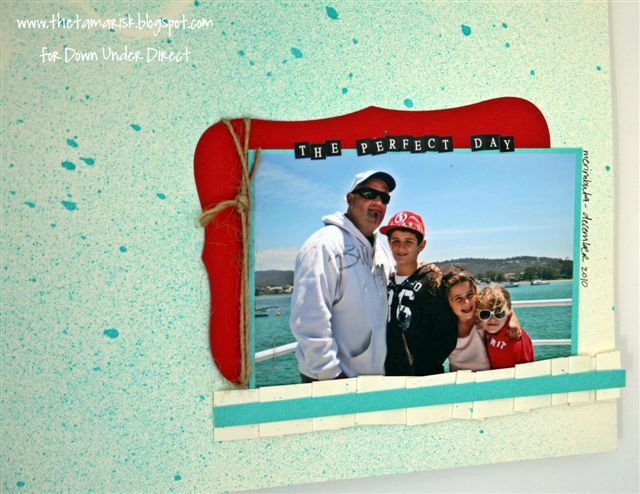 Tip-mount your photos on dark cardstock to make them stand out from the rest of the page. 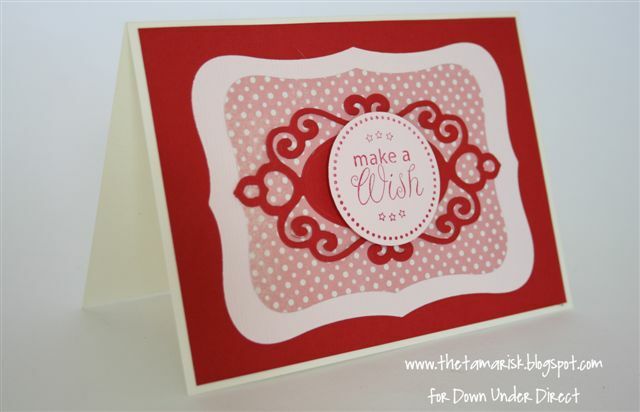 Here is a another lovely card created by Sue. I love the way she has used Elegant Posts. 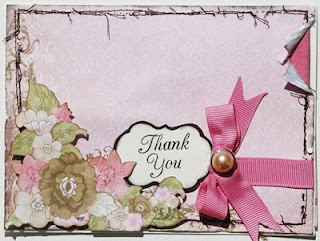 Here is a pretty thank you card from Kirsty. 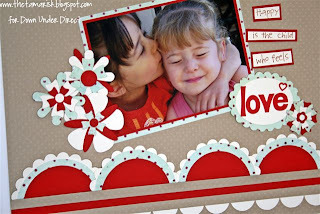 Here is a cute layout using several of the Spellbinder dies. 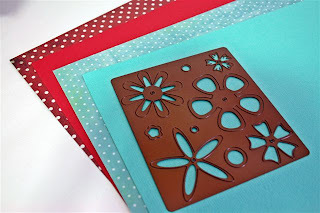 The combination of Circles and Scalloped Circles make a lovely border. Welcome to Tutorial Tuesday. 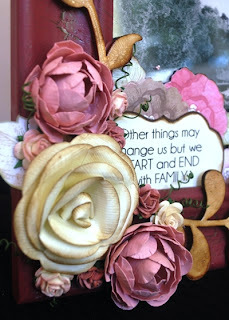 Today we have a tutorial on making beautiful layered flowers using Rose Creations. Cut four flowers of at least four different sizes of Rose Creations, sixteen in total. I like the large, medium and two small flowers, but not the smallest as it is a little fiddly. large and splay brad at back. Mist or dunk the flower in water, scrunching up the petals from the inside small ones to the large ones at the back into a kind of bud. 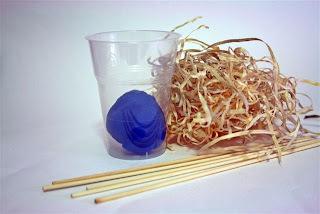 Unfurl the petals, carefully arranging them with a skewer as you go. Dry off with a heat gun. 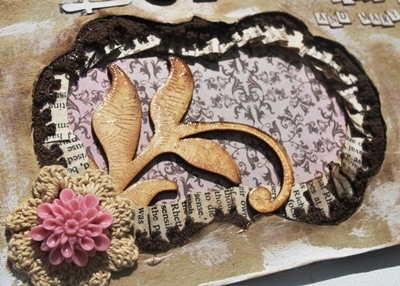 Or spray a little spray glue and sprinkle just a tiny bit of fine glitter to match the flower. Or glue an ornate button in the centre instead. 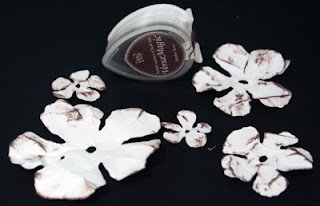 You can edge flowers with stamp pad ink before you thread them on brad. the water makes the ink soften and smudge, for a nice natural look. Don’t let the flowers all line up, try to offset them so petals splay out nicely. If they still are lined up too much wait until you have dried them off then twist them around from the back. The more you scrunch the crinklier the flower. Use a skewer to help arrange petals as you are drying. Play with it and have fun. You can use Blossoms 2 or Carnation Creations Spellbinders instead. Vary the sizes and amounts of cut flowers used to create different types of finished flowers. 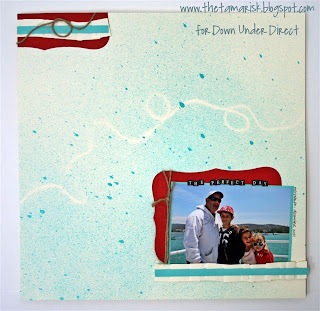 Here is a layout by Teresa. 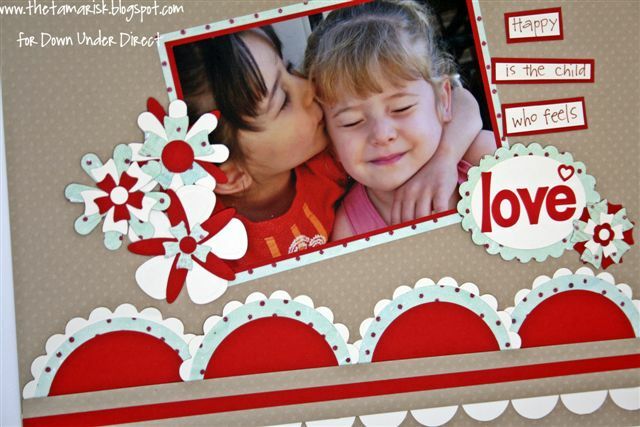 Here is another lovely layout. 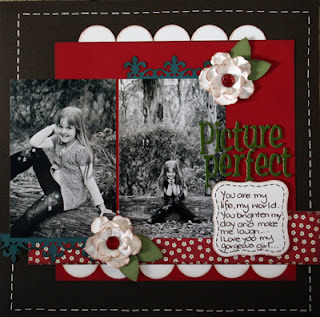 Here is another pretty layout Check out the clever use of Spellbinders. Here is a close up of the window. 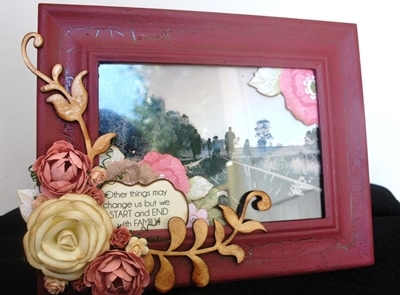 Here is a lovely idea to alter a plain frame. 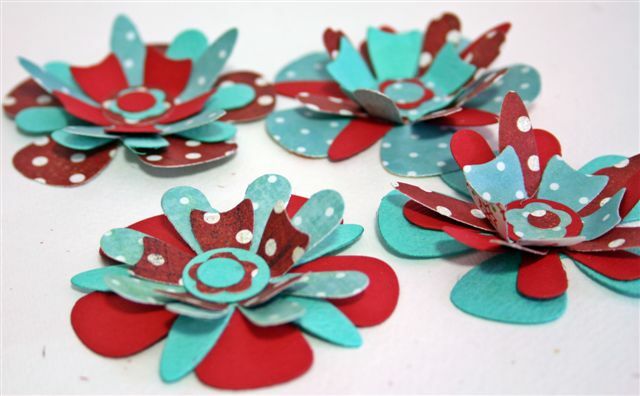 *Tip- Bazzill Basics paper is perfect for making your own flowers! 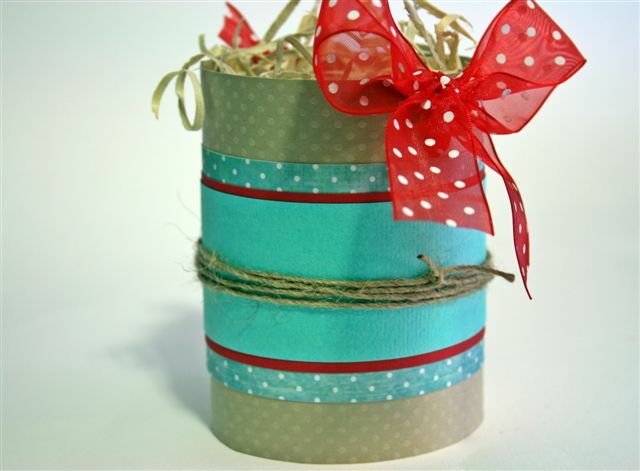 Its tough enough to handle lots of distressing, and light enough not to weigh down your projects! 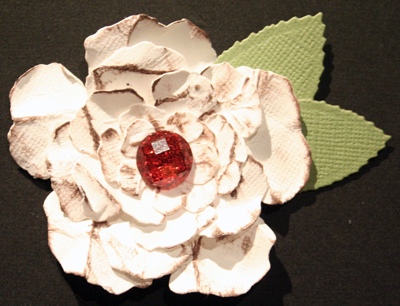 The flowers on this project were simple to make, and done following tutorials found searching YouTube. Here is a quick and easy layout. Happy Mother's Day to all the mums out there today. 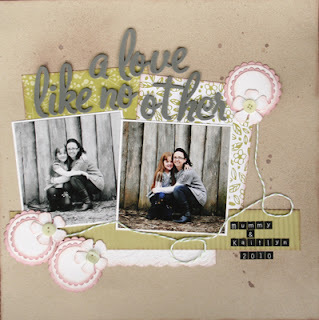 Here is a lovely mother & daughter page created by Sue. Welcome to Tutotial Tuesday. Every second Tuesday one of our Design Team members will be sharing one of their projects with photos and step by step instructions. Our first tutorial has been created by Teresa. 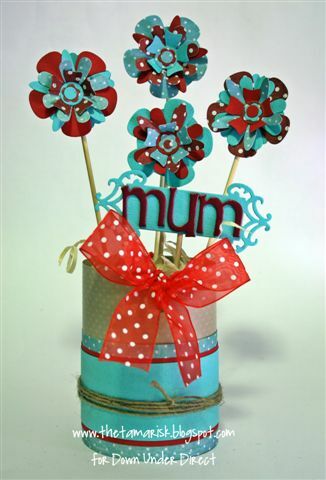 This lovely project is a wonderful way to give your special mum flowers that will last a lot longer than a bunch you’d buy from a florist. 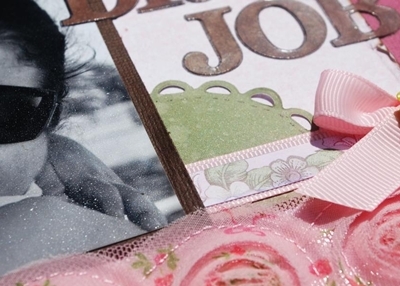 While it’s a fabulous Mother’s Day gift, it could easily be altered for any occasion. Place the plasticine into the bottom of the cup to weigh it down, and add some woodwool to the cup. Put the skewers aside for the moment. 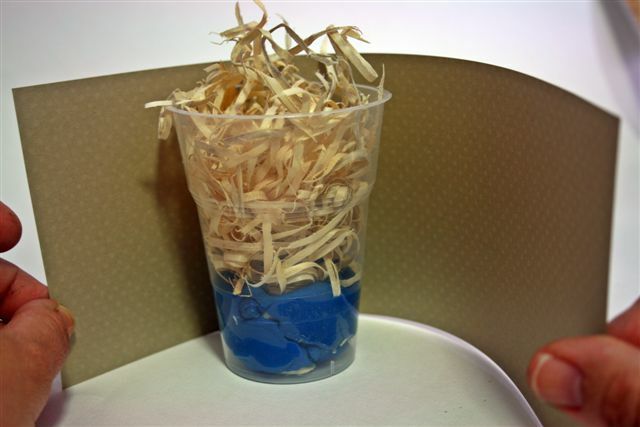 Punch holes through the cup and cardstock. Tie a bow through these holes. This will stop the cup from slipping out of the sleeve. Create a cuff for the cup with strips of cardstock and patterned paper of varying widths. 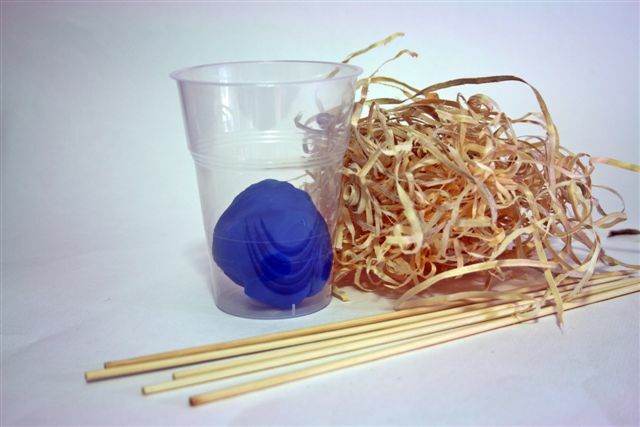 Wrap some twine around the whole thing. 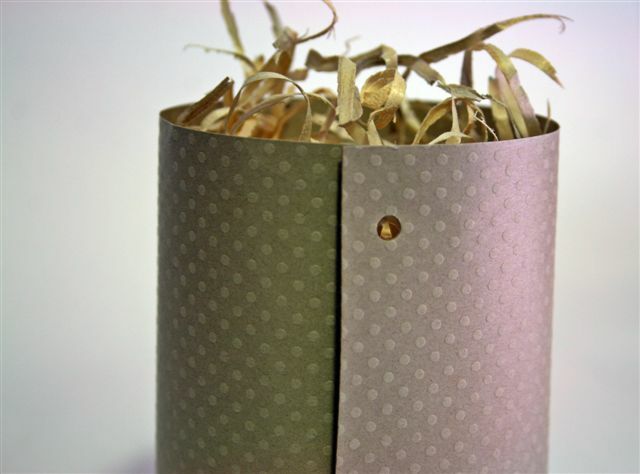 This will stop all the cardstock from unravelling. 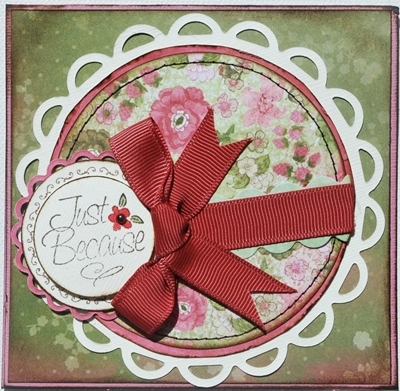 Cut the flowers using the Flower Creations die in each of the cardstock colours and patterned papers. 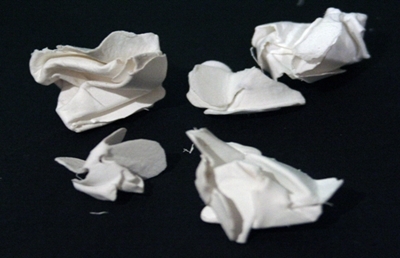 Assemble the flowers, bending up some of their petals to give dimension. Cut a tag using the Fancy Tag dies, and adhere the alphabet stickers to write ‘Mum.’ Attach this to a skewer with a small rectangle of cardstock on the back. To finish arrange all the pieces as in the top photo. Here is a lovely layout created by Sheree. 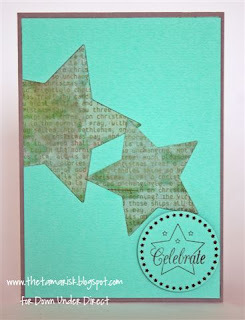 Here is a pretty card created by Kirsty.